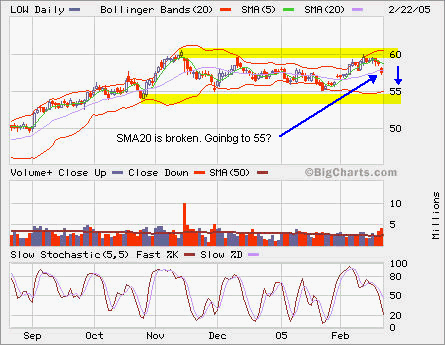 LOW broke its support at the SMA20. It’s going towards the lower bound of this range. Is it time to get in SUNW again? Not now, let’s wait until we see the support above 4 is held and after it comes out some kind of stablization period. This entry was posted in Stocks and tagged Low, Sunw, Support by btr. Bookmark the permalink.